Put Out to Pasture Photo Picture Classic Cars for sale & Classifieds - Buy Sell Classic Car & Classic Truck Classifieds. a '55 Customline some '55 or '56 tudor sedan, a couple of early postwar Fords (c. 1946-48), and I still cannot identify the next to last car (between the 1947-48 sedan and the '57 Ranchero). 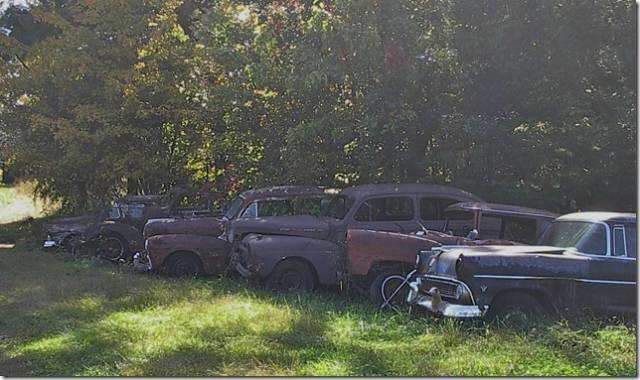 nice row of fords,looks like a great collection!